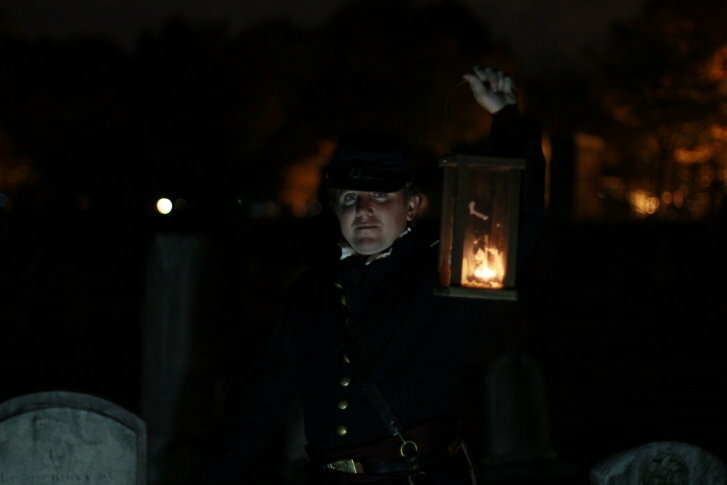 WASHINGTON — It’s rare for Congressional Cemetery to open its iron gates to visitors after dark. But for four days this month, the National Historic Landmark is doing just that — all for a little Halloween fun. On Oct. 19, 20, 26 and 27, Congressional Cemetery will lead its annual “Soul Strolls” through the 35-acre burial ground. Consider the event somewhat of a haunted history lesson. “It’s a really special tour because you get to hear basically first-person accounts of our residents, which is what we call people who are buried here,” said Lauren Maloy, program director at Congressional Cemetery. Mary Fuller is one resident who will make an appearance at this year’s stroll. She’ll be played by a volunteer actor dressed in period costume. Fuller was a silent film actress and screenwriter in the early 1900s, who had a successful Hollywood career before she experienced several tragic events. In the 1940s, she was admitted to D.C.’s psychiatric hospital, St. Elizabeths, where she lived for 26 years until her death. “We’re a cemetery at night, and it is Halloween,” she added. After the tour, guests are invited to go off on their own and walk the grounds of the cemetery unaccompanied by docents. Those in need of a little courage before the walk can find it in liquid form at the cemetery’s cash bar. There’s also a VIP area decked out in a “circa-1807” theme, the year the cemetery was founded. Other notable figures buried at Congressional Cemetery include J. Edgar Hoover, former director of the FBI, and John Philip Sousa, an American conductor and composer. Soul Strolls is one of Congressional Cemetery’s biggest fundraising events of the year, and Maloy said if tickets are sold out online, you can purchase them at the door. Those who prefer to pay their respects in broad daylight can come back in the morning or afternoon for self-guided tours. “(The cemetery) is one of those sites that a lot of people don’t realize is here. 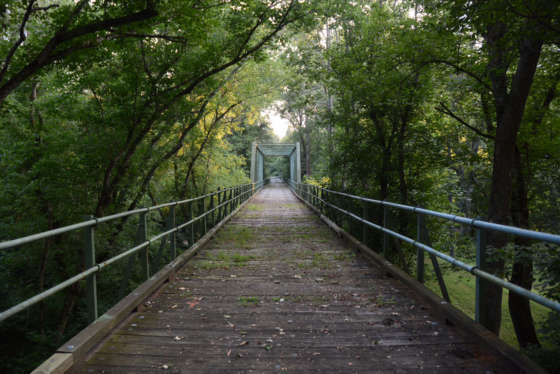 It’s kind of nestled in D.C. and forgotten by a lot of people,” Maloy said.